The tiny dining room with a half dozen tables and a counter by the front window has an industrial feel with modern colors. The simplistic feeling is accentuated by the simple menu and the simple preparation area. The menu has basically one option with a couple different variations that are prepared ahead of time, frozen and dropped into one of four pots of boiling water. They offer full or half orders of dumplings that can come stuffed with meat, potatoes or both. Then they offer “the works” as a topping. The works includes butter sauce, curry powder, chili sauce (which I was told is Sriracha and rice vinegar), cilantro and sour cream. I went to Paul’s for lunch with a friend and the full size was enough for the both of us plus leftovers. We got a combo with the works and I thought they were great considering they are so simple. Both the meat and potato fillings were good but the potato one really shined. The meat one tasted like a standard pot sticker, but the potato filling was buttery and creamy, and a really good vehicle for the spicy topping. 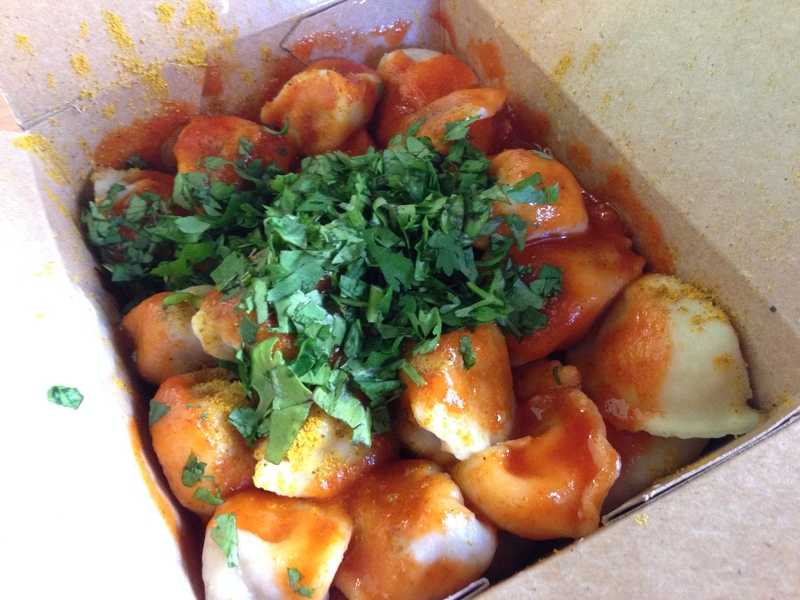 The thing that makes Paul’s Pel’meni stand out from other dumplings is the topping combo they offer. I’m not a fan of cilantro so I plan to get the works without cilantro next time, but the rest of the toppings worked really well together. The butter sauce gave it a hearty flavor while the curry powder and chili sauce gave the dumplings an intense but flavorful heat. The sour cream was a nice compliment to the spicy toppings. The price was a tad high for the amount and simplicity of the food but it won’t keep me from coming back. ALERT: They only take cash so make sure to hit an ATM on the way. FOODNOTES: This hidden gem on Gorham has a great feel and dishes up amazing food. The simplistic menu means they were able to perfect the options they do have. Both meat and potato fillings are good but the potato one shines. Next time I go I will probably just get the potato filling. As for toppings, if you like spicy food I would suggest getting the works. I know it sounds like an odd set of flavor combinations but they all work really well together (of course I won’t be getting the cilantro). 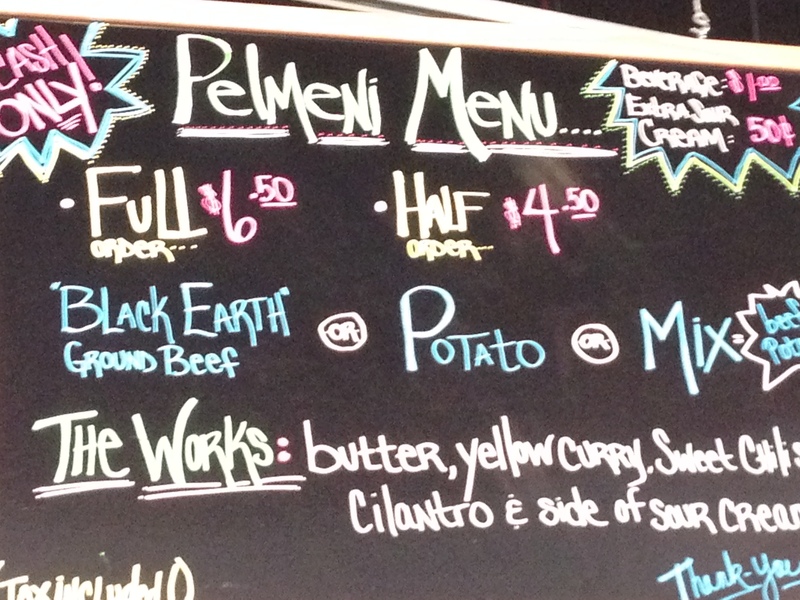 I would say Paul’s Pel’meni is a great lunch place and will definitely be back, but I think the limited menu would not make for a good dinner stop. And remember: they only take cash!